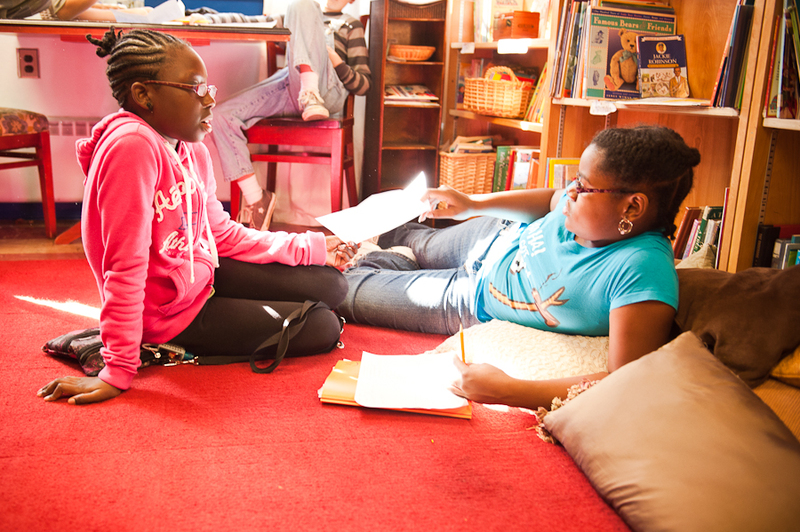 Students at City Neighbors in a thoughtful moment, working together. Over 100 years ago, John Dewey said that education that aims only to teach skills will raise children who are preparingto be ruled over. The same risk exists today. But today we have a choice. Will we teach skills, or give children a real education? A “real” education, John Dewey said, is one based on meaningful work. It includes the arts, projects, critical thinking, activism and stewardship. My concern is that the public school system is not designed to make real education happen. Under the false call for “Accountability” there is pressure in public education for compliance, achieving standardized test results and following prescribed curriculum and instruction. John Dewey would tell us not to make school the place where students passively spend time to prepare for their adult lives by memorizing information. Instead, create schools in which students are in the practice of thinking of themselves as problem-solvers, behaving as active participants in our democracy, and carrying a vision of themselves as capable, worthy and compassionate citizens of the earth. We need to empower our teachers to teach this way. The power to create, to collaborate, to be creative, to make mistakes. One of my favorite educators, Deb Meir, (http://deborahmeier.com) refers to the time children spend “in the company of adults.” These adults are the teachers, who serve as a model for what it’s like to be empowered. She asks us to consider the time our children spend in school, in the company of teachers. Are they with teachers who feel empowered? We need a real education for every student in Baltimore. To do that, we need to empower the teachers. It all comes back to empowering the schools. Let’s design public education to make that happen. Let’s allow every school to intentionally define its mission, design its environment, build the team of teachers, and create the best school together that they can imagine. Empowered schools, empowered teachers, empowered students. New rules.